SAN SALVADOR, Feb 19 2019 (IPS) - Like an octopus, metals mining has been spreading its tentacles throughout Central America and dealing a blow to the region’s agriculture and natural ecosystems, according to affected villagers, activists and a new report on the problem. “Where the mining company is operating was land that peasants leased to plant corn and beans, our staple crops. But since the company came in, there is no land left to farm,” said Lesbia Villagrán, who lives in the municipality of San Rafael Las Flores in eastern Guatemala. Minera San Rafael, a subsidiary of the Canadian company Tahoe Resources, set up shop in this rural municipality of just over 9,000 people in 2007, and since then local residents in different villages scattered throughout this municipality and nearby areas have been organised to bring its operations to a halt. The villagers are fighting the El Escobal silver mine arguing that it will affect their livelihood in agriculture, as well as local water sources and biodiversity. “When I was little, my father leased four or six manzanas (a little more than four hectares) of land and for us it was a joy to work in the abundant harvest. But when the owners of the land sold it to the company, my father was no longer able to plant our staple crops,” added Villagrán, 28, in an interview with IPS from San Rafael. The mine changed ownership in January, and now the company is called Minera San Rafael El Escobal, a subsidiary of Canada’s Pan American Silver, which according to its website is the world’s second-largest producer of silver. It owns and operates six mines in Argentina, Bolivia, Mexico, Peru, and now Guatemala. “The situation in agriculture is complicated by the company’s operations,” said Alex Reynoso, a coffee grower from a municipality near San Rafael. According to Reynoso, the country’s markets do not want produce harvested near the mine because of fears that they are contaminated with heavy metals used in the extraction process. “The country’s most important markets flat-out avoid buying our products,” he told IPS from his hometown. IPS attempted to get comments from both Tahoe Resources and Pan American Silver with respect to the criticism by San Rafael Las Flores residents against the mine, but had received no reply by the time this article was published. 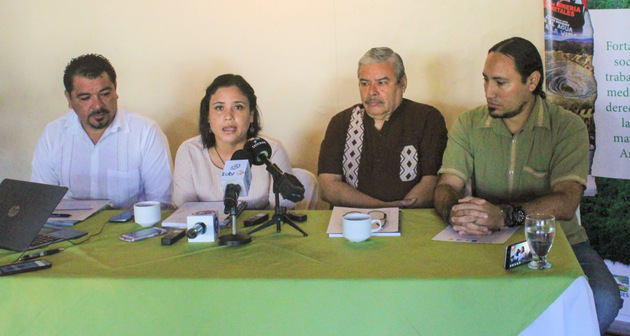 Mining operations have been suspended since July 2017 while the Guatemalan Constitutional Court studied a complaint by organisations of local Amerindian Xinca residents that they were not consulted about the project as required by law. The Court issued a ruling upholding the suspension of mining activity in September 2018. This case in Guatemala is an example of the tensions caused in Central America by metals mining, an activity that has been ongoing in the area, albeit in a rudimentary fashion, since the time of Spanish colonialism in the sixteenth century. In the last few decades it has expanded with the arrival of transnational mining corporations to the area. The arrival of foreign corporations generated social conflict, as local residents in the villages and towns where the mines are active began to organise, especially in Guatemala, Honduras, El Salvador and Nicaragua. The consortiums that win the mining concessions have been grabbing up traditional farming and forest land, while monopolising water resources that local communities, especially indigenous ones, depend on, putting their food security at risk. The study “Strategies for the Defense of the Environment and Human Rights in the Face of the Impacts of Mining Extractivism in Central America”, released Feb. 11 in San Salvador, gives an account of this expansion and its impacts. In Honduras, up to January 2017, 172 mining concessions had been granted, covering a total area of 7,275 square kilometers, equivalent to 6.47 of the country’s territory. In Guatemala, up to the same date, 55 concessions had been granted, covering an area of 4,143 square kilometers, or 3.81 percent of the national territory. And by May 2017 Nicaragua had granted 146 mining concessions, and is still processing 20 more applications. Altogether, including the pending applications, they cover 11,143 square kilometers, or 8.55 percent of the country. El Salvador made international history by being the first country in the world to ban all forms of mining in March 2017. But as of 2006 there were 31 mining concessions, covering an area of 1,088 square kilometers, 5.17 percent of the national territory. Central America is a region of great social deprivation, with a population of 48 million inhabitants and an area of 524,000 square kilometers, also made up of Belize, Costa Rica and Panama. It is also one of the regions most vulnerable to the impacts of climate change, with high annual crop losses, either due to excess water, during the rainy season, or due to droughts in the dry season. Following the Salvadoran example, “there are cases of movements that are demanding mining-free territories” in neighboring countries, Nicaraguan researcher Angélica Alfaro, one of the chief authors of the new study, told IPS. “But the reality is that countries like Honduras, Guatemala and Nicaragua have passed laws aimed directly at promoting the mining sector,” said Alfaro, who worked on the document as a consultant for the Association for the Development of El Salvador. The report was published by the Central American Mining Alliance, a conglomerate of environmental organisations in the region. The mining industry jeopardises food security in Central America because it directly impacts agriculture, as it affects several watersheds, Julio González, of the Guatemalan group Madre Selva, told IPS. 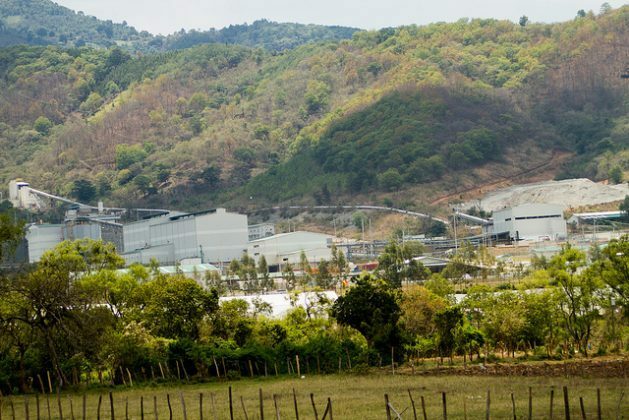 For example, the Cerro Blanco mine, located in the Guatemalan municipality of Asunción Mita, bordering on western El Salvador, is part of the Ostua-Guija-Lempa basin. The pollution generated by the mine runs into Lake Guija, in El Salvador, and from there to the Lempa River, which winds through this country and whose water is used for irrigation and human consumption, after being processed. “Water, apart from daily use, is vital for agriculture, and is affected by the presence of metallic minerals, like cyanide, all of which will alter food production,” said González, who participated in the presentation of the study in San Salvador. He added that the land used by the mining industry is not the enormous extensions of land owned by large landowners, but rather the areas used for subsistence agriculture, especially in the territories of indigenous people, historically expelled from their land and pushed into forested areas. “But that’s the agriculture that sustains food security,” he said.